This is Three Rivers Philosophizer - A weekly review of stuff that is going on in my brain... at least the stuff that has to do with hockey. If you don't like it, I don't blame you. Down 2-0, Pens fans were restless during this late night, West Coast game. When the 3rd started and the Canucks made it 5-0, I turned the game off so that my wife could play video games. hubs just says 'why are the pens on nbc every Wednesday?' because dear, we are rivals with everybody according to nbcsn. One minute and fifty one seconds into the game, Hornqvist scored to make the score 1-0 Pens. Letang got one assist and Comeau (back from his injury) got the other. Comeau was obivously excited to be back in the lineup, as he scored the 2nd goal of the game later in the 1st. WELCOME BACK, COMEAU CHAMELEON! Blake's blast makes it 2-0 Pens! Having Blake Comeau play this well on this salary is like finding a Honus Wagner rookie card at Goodwill stuck in some old dictionary. The ice was totally tilted towards the Pens at this point. This Power Play looks fantastic! Oh, the Pens don't have an extra skater right now? Coulda fooled me! Shortly thereafter, Spaling made it 4-0. NBC was able to jinx Fleury, as this was talked about mere minutes before the Red Wings scored on a power play. In the end, the Pens were victorious! Life got in the way and I was unable to "cover" this game, so to speak. Still, it was a great win! Now THIS is soccer that I'd watch! SOCK HER! 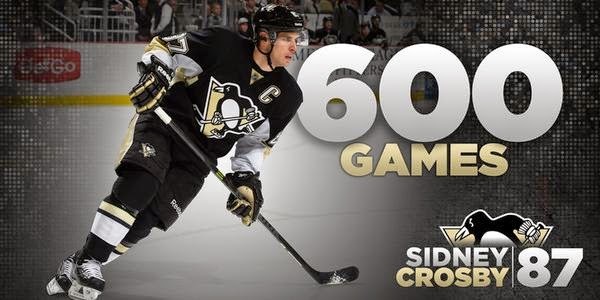 Keep up to date on the current standings of the Pens Initiative Fantasy Hockey League.